I saw King Kong on Friday and I absolutely loved it. I’ve heard the critics say this movie was too long. I’ve heard them say that if it had been an hour shorter they would have given it all five stars. Frankly, I don’t care. I paid $9 to see this and Peter Jackson gave me an extra hour of a movie about a giant ape and it was well worth it. The dinosaur chase scenes put Jurassic Park to shame. Halfway through the movie I commented to my friends that I thought this movie was redefining movies altogether. There are scenes in which dinosaurs are falling off cliffs and dangling from giant vines and King Kong comes in and beats them up as if they were toys. Well I won’t go into a lengthy review. I’ll just say this one gets 5 stars and I’ll definitely get the extended edition of this just so I can watch the dinosaur chase scene again and again. It will be worth it. You might want to check out the review over at The Uber Geeks. Remember that show called Early Edition about a guy who gets tomorrows newspaper today? Well, Kyle Chandler, who played Gary Hobson is in this movie. Overall, I thought the movie was good. The special effects were absolutely amazing. Literally the best 3D hair simulation I think I’ve ever seen. And the fight scene between King Kong and the T-Rex was extremely entertaining. 1. The scene where the dinosaurs run through the canyon. An entire valley of giant Brontosauruses is herded into a canyon by a couple of raptors. I find this whole scene to be extremely unbelievable when analyzed logically. 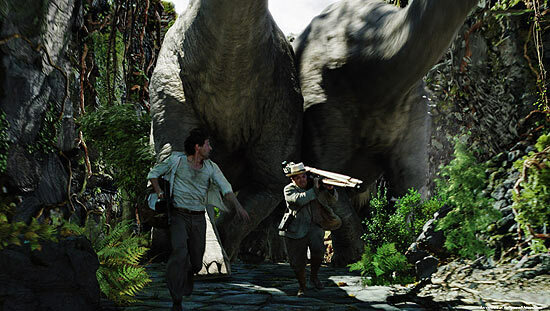 First of all, I hardly doubt a couple of small raptors would scare giant Brontosauruses. The very fact that the Brontosaurus is huge is a testament to it’s ability to fend off attacks. Look at it’s enormous, powerful tail. They would have herded together and crushed all the raptors, not gone off running in stupid terror. To top it off, they go running through the canyon, with people dodging between their legs. Sure, a few of the people got killed, but at least half survived. I just don’t see how anyone could have survived that. 2. The way how the girl falls in love with King Kong. I found it to be way overdone and, once again, verging on absurdity. Yes, King Kong saved her life. Yes, he showed some near-human emotions. However, he was essentially just a giant monkey. She didn’t seem to understand this, and seemed as if she cared more about the monkey than the hundreds of innocent people around her that were in danger and getting killed. She seemed to have a genuine problem discerning between her love for King Kong and her love for the playwriter she met on the ship. 3. The bug scene. I know that this “absolutely” just had to be in the movie because it was in the original or something. And yes, it was an altogether terrifying scene. However, it seemed altogether out of place and didn’t seem to add anything to the story. Another one of those entertaining scenes that just didn’t make a whole lot of sense. Synopsis: Entertaining movie. Couple of things that are rather absurd. But entertaining overall. Amazing job with special effects. I rate it 6.5 out of 10 stars. Firstly, a huge dinosaur such as the brontosuarus would be very slow compared to raptors and if one the bronto’s would run, the whole herd runs together. Normally, the raptors would co-ordinate their attack and go for the slower and weaker one so like real life, alot of chasing is involved. And also, the bronto’s aren’t capable of fending off attacks by such small raptors, simply because their necks and tails aren’t flexible enough to bend 180 degrees into their body where the raptors would originally go for. Secondly, the girl is just a character who develops a liking for an animal. Her care for the writer didn’t seem more important than kong because obviously, he is just an animal who does not undertsand so therefore needs more ATTENTION. The reason she didnt seem to care about those around here rather than kong in the NY scene was the fact that she was the only one capable of bring him to a calm so she went straight for the SOURCE of the problem. And lastly, the bug scene reflects upon what the team encountered on their journey in a place where they have never been before. It just shows how nasty making a wrong turn can be if your not prepared enough to tackle the problem. These are some of the geniune reasons as to why those sequences were shot in certain ways and there could have been hundreds more. One of the reasons why you may have disliked particular scenes may be the fact that you are not looking at it from another point of view. frankly guys.. king kong is a movie which i could actally see over and over and over again.. jurassic park comes no where close to even the big ape’s paws..here’s a salute the Peter jackson.. he is undoubtedly – the maestro. 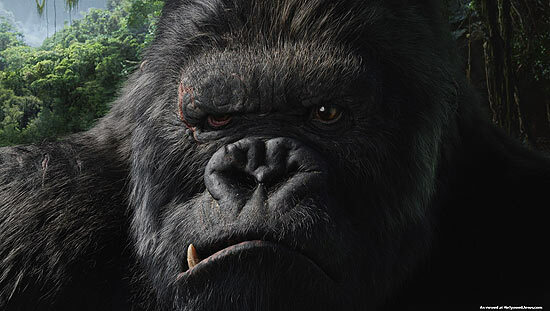 Kingkong is some movie which I can’t forget considering that it was first great fantasy movie I have ever watch. I never thought that Kingkong is something to hate in a character but you get to learn to understand it. Cruelty to animals will surely pay of. I love the movie KING KONG!! 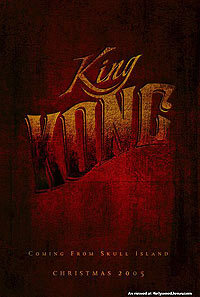 I think the and is not good because KING KONG should be alive… I can’speak English verry wel because i’m from Holland!! !